Jonathan Moore: guitar; Francesco Acanfora: tenor saxophone; Sebastian Jego: drums; Anthony Pell: bass. Recorded December 2017 / January 2018 by Niko Schauble Dec at Pughouse Studios. 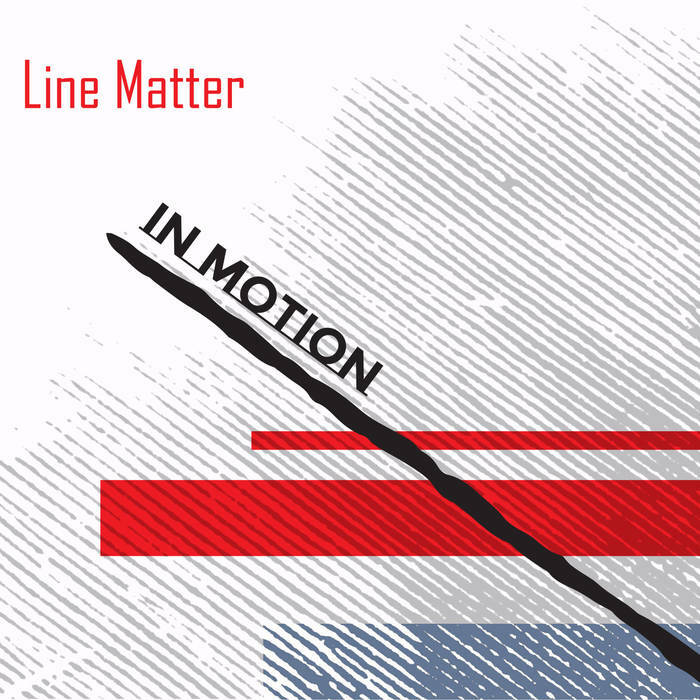 The liner notes are written as a short story, which intersperse the titles of the tunes into an account of a tram journey in which some people meet and others talk, and a flyer is given to a young man for a gig by a band called Line Matter... This is a set of original tunes from a Melbourne jazz-fusion outfit. Interestingly, the press release points out that Moore has studied with Australian guitarist Stephen Magnusson – as you can hear the lyrical tone here, but the emphasis is less on the off-tone, bluesy notes that Magnusson favours and more on a rhythmically framed developments, moving between from blues to a more Spanish tinge. Moore’s trebly guitar is neatly complemented by Acanfora’s delicately throaty tenor. Both lead instruments carry the tunes confidently and slip in and out of improvised lines with ease. The tunes develop along neatly defined grooves that work some familiar fusion twists and turns, with enough novelty to keep the listeners on their toes. This mix of the familiar and the novel is hinted at by some of the tune’s titles, such as ‘Walking in Circles’, ‘Into the Woods’, or ‘Each One a Secret’. Pell’s bass playing moves seamlessly between melodic (with a rich sound that conveys a feel of the electric fretless bass), the funky (with some stomping rhythmic lines), and the swinging (particularly the exubert ‘Ollie’) and this is roundly supported by their French drummer, Jego, who swings with a relaxed but ever sensitive manner. It is easy to overlook the fact that this is the quartet’s debut, so assured is the playing and so well structured are the compositions, and you'd expect this to be the start of an exciting series of albums to look out for.